Some people like a filthy ride, others don’t, but whatever you are into, one thing is inevitable – at some point you are going to have to clean that mess up! This is where you will need some Dirt Juice in your life. Dirt Juice Less Gnarl (why Less Gnarl? 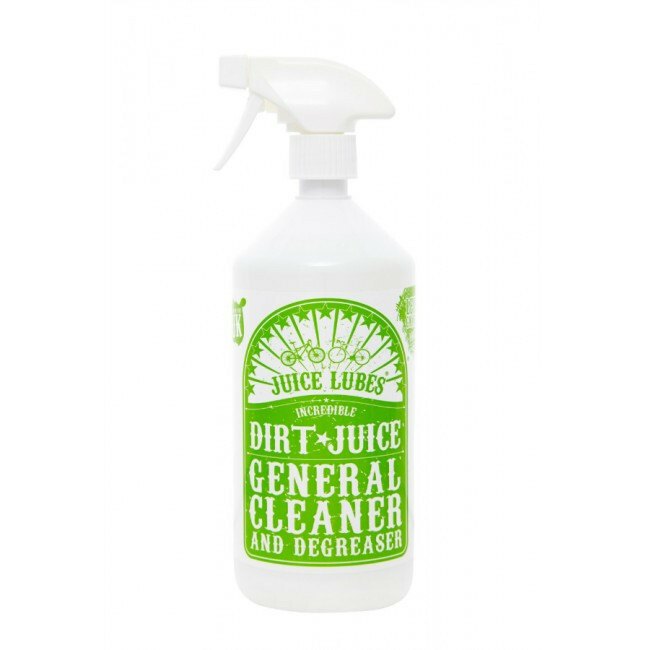 Well its less gnarly than our concentrated degreaser Dirt Juice Super Gnarl of course) is our ready-to-use, citrus based, fully bio-degradable bike cleaner and light degreaser. It quickly loosens and lifts grime from your frame and components allowing an easy rinse off with fresh water. For your drive train and any other heavily soiled areas we recommend using our concentrated degreaser Dirt Juice Super Gnarl. 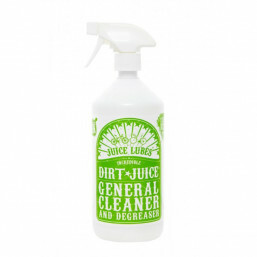 Dirt Juice Less Gnarl comes supplied in a 1 Litre bottle with trigger spray or as part of the Dirt Juice Double Pack which also includes our Dirt Juice Super Gnarl and saves you a bit of money! Spray or brush Dirt Juice onto the bike and leave it to work its magic for no longer than 2 minutes, agitating the most stubborn areas with brush or sponge. If you prefer a bit more foaming action spray directly on to a brush and get to work with that. Apply JL69 to displace moisture from the mechanicals. Once frame is dry apply Frame Juice for a showroom shine! Finally, lube up chain, forks and shock when dry. If you must use a jet wash (and we know that sometimes it’s tempting) try and avoid sensitive areas such as the bottom bracket. A bearing should never be squeaky clean!